Rochelle Feinstein	￼￼Rochelle Feinstein (b. 1947, New York, NY) received a BFA from Pratt Institute in 1975 and an MFA from the University of Minnesota in 1978. Recent solo exhibitions include On Stellar Rays, New York, NY (2013 & 2011); Higher Pictures, New York, NY (2013); LAB Space/Art Production Fund, New York, NY (2009); Momenta Art, Brooklyn, NY (2008); The Suburban, Chicago, IL (2008). In 2014, Feinstein was included in the Whitney Biennial at the Whitney Museum of American Art, New York, NY. Her work is in numerous museum and private collections including the Museum of Modern Art, New York and the Miami Art Museum. 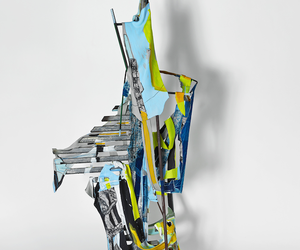 Feinstein was the 2012-13 recipient of a Radcliffe Institute Fellowship; other recent awards and grants include an American Academy of Arts and Letters Purchase Prize, Anonymous Was A Woman grant, a Guggenheim Fellowship, a Louis Comfort Tiffany Foundation Fellowship, a Joan Mitchell Foundation grant, and a Foundation for Contemporary Arts grant. In 1994, she was appointed to the faculty at Yale University School of Art, where she is currently professor and Director of Graduate Studies of painting and printmaking. Karen Rosenberg, “Rochelle Feinstein: ‘Love Vibe,’” The New York Times, April 24, 2014. Sarah Schmerler, “Rochelle Feinstein: On Stellar Rays and Higher Pictures,” Art in America, June/July 2013. Deborah Grant	Deborah Grant (b. 1968, Toronto, Canada) received a BFA at Columbia College, Chicago (1996), an MFA in painting from TylerSchool of Art, Philadelphia (1999), and completed residencies at the Skowhegan School of Painting and Sculpture (1996); The Studio Museum in Harlem A.I.R. (2002/2003); Headlands Center for the Arts, Sausalito (2004); A.S.A.P. Residency in Mount Desert Island, Maine (2005). She has had solo exhibitions at The Drawing Center, New York (2014), Roebling Hall, New York (2006), Dunn and Brown Contemporary, Dallas (2007) and Steve Turner Contemporary, Los Angeles (2007 & 2012). Grant’s work has also been included in the group exhibitions When the Stars Begin to Fall: Imagination and the American South, the Studio Museum in Harlem (2014); Agitated Histories, SITE Santa Fe (2011); After 1968: Contemporary Artists and the Civil Rights Legacy, High Museum of Art, Atlanta (2008); The Old Weird America, Contemporary Arts Museum Houston (2008); Greater New York, P.S.1 Contemporary Art Center, Long Island City (2005); and Thelma Golden's notable exhibition Freestyle at the Studio Museum in Harlem in 2001. David Ebony, “Exhibition Reviews: The Drawing Center,” Art in America, April 2014. Iva Gueorguieva	Iva Gueorguieva (b. 1974, Sofia, Bulgaria) received an MFA from the Tyler School of Art in Philadelphia. Gueorguieva has had recent solo exhibitions at such venues as ACME., Los Angeles, CA; Susanne Vielmetter Los Angeles Projects, Los Angeles, CA; BravinLee Programs, New York, NY; LUX Art Institute, Encinitas, CA; Angles Gallery, Los Angeles, CA; Stichting Outline, Amsterdam, Netherlands; and Pomona Museum of Art, Claremont, CA. Her work is included in many public and private collections including the Los Angeles County Museum of Art, Los Angeles, CA; the Minneapolis Institute of Art, Minneapolis, MN; and the Museum of Contemporary Art, Los Angeles, CA. 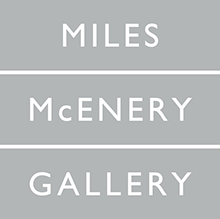 Her work is represented by Ameringer| McEnery | Yohe in New York and ACME. in Los Angeles. She is the recipient of the Orange County Contemporary Collectors Fellowship Award in 2012, the California Community Foundation Mid- Career Fellowship in 2010, and the Pollock-Krasner Grant in 2006. Gueorguieva lives and works in Los Angeles. Christopher Knight, “Iva Gueorguieva at ACME,” Los Angeles Times, Sept. 13, 2013. Dona Nelson	Dona Nelson (b. 1947, Grand Island, NE) moved to New York City in 1967 to participate in the Whitney Independent Study Program. She received her BFA from Ohio State University in 1968. Over the years, she has had numerous, widely reviewed solo shows at galleries such as Rosa Esman, Michael Klein, Cheim & Read (all New York); including a mid-career exhibition at the Weatherspoon Art Gallery (Greensboro, NC). More recently, she was included in survey shows at Harris Lieberman, D’Amelio Terras, Mary Boone, Robert Miller, and Boston University Art Gallery. In 2014, Nelson was included in the Whitney Biennial at the Whitney Museum of American Art, New York, NY. Her work has also appeared at institutions such as the Contemporary Arts Museum Houston, New York University’s 80WSE, Bard College, Apexart, the Milwaukee Art Museum, and the Aldrich Museum, and is included in the collections of the Metropolitan Museum of Art, the Guggenheim Museum, and the Pennsylvania Academy of Fine Arts, among others. In 2013, Nelson received the Artists’ Legacy Foundation Award. She was a 2011 Foundation for Contemporary Arts grant recipient, and she received a Guggenheim Fellowship in 1994. She is a Professor of Painting and Drawing at Tyler School of Art, Temple University, Philadelphia. Roberta Smith, “Dona Nelson: Phigor,” The New York Times, May 8, 2014. Barry Schwabsky, “Dona Nelson: Thomas Erben,” Artforum, Summer 2014. Museum Hours + Admissions	USFCAM Hours are: Mon-Fri 10am-5pm, Sat 1-4pm. Closed Sunday and University holidays. Closed: November 11 for Veterans Day; and November 27–28 for Thanksgiving Admission to the Museum is free; however a USF parking permit ($5.00 daily) or pay-per-space parking is required. Please visit our website http://ira.usf.edu/ for parking, directions, or more information on events associated with the exhibitions. Groups and organizations interested in tours should contact CAM to schedule at least two weeks in advance. Or call (813) 974-4133 for additional information.